Natalia Kapourelakos (left) and Anastasia Tsoumbanos at the rebuilt Lakeview Pavilion in Foxborough. A fire in 2014 razed the function hall the sisters owned at the same site. Anastasia Tsoumbanos and Natalia Kapourelakos have probably never felt so relieved to be setting up tables and chairs. They had much bigger concerns on April 5, 2014, when the function hall they owned, Lakeview Pavilion in Foxborough, burned down just after a couple said their wedding vows. The nearly 110-year-old structure was destroyed by a discarded cigarette, but the wedding guests and workers all made it out safely. Now, the two sisters are gearing up for their first wedding celebration since that fateful night. The big event is scheduled for Friday. The sisters said their new facility cost $7 million. Much of the expense was covered by insurance, but they said they wanted to make the new building bigger, beyond what the policy would cover. The old facility was about 16,000 square feet in size. This one, they said, is 25,000. Each of the ballrooms, Kapourelakos said, has a private entrance, bridal suite, cocktail area, and outdoor deck. The old building was a retrofitted ballroom-dancing hall. But this time around, the sisters were able to tailor the structure for their specific needs. Architect Lou Allevato said he aimed for a simple design without many flourishes. He also envisioned a building that would impress brides, grooms, and their parties as they pulled up for the big event. 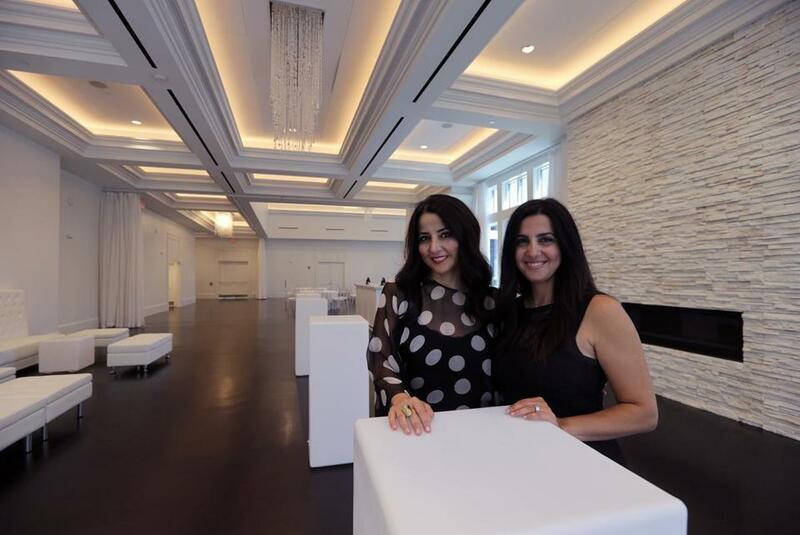 Natalia Kapourelakos (left) and Anastasia Tsoumbanos at the rebuilt Lakeview Pavilion. Know about an interesting construction or development project? Tell us about it at yourstoryhere@globe.com.